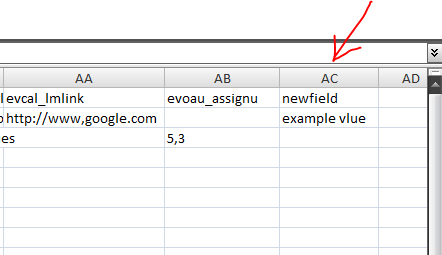 In the CSV file create a new column to match the field name eg. newfield – according to above example. And type in the values you want to pass.